HOLY HORSEPOWER: Lessons from the 3,135 horsepower HCB 65. 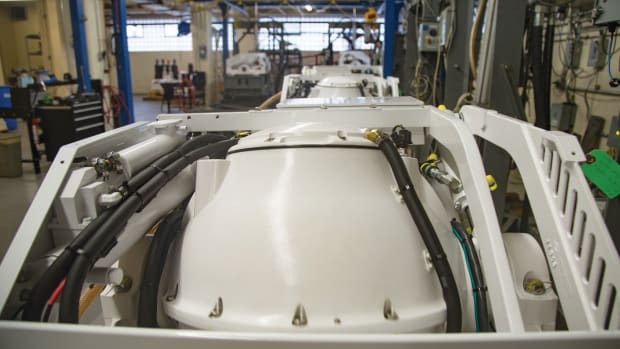 The race to build the biggest, baddest center console on the planet has reached its peak. Or has it? 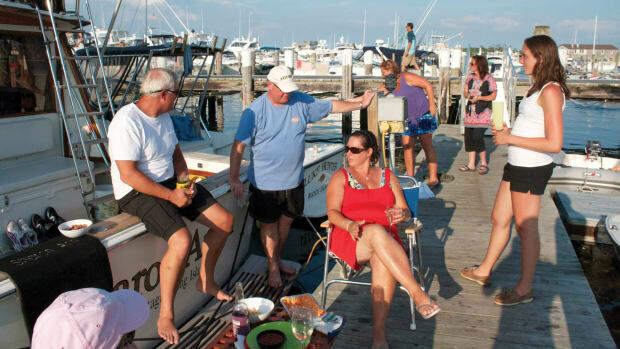 Finding the 65 Estrella at the Montauk Yacht Club couldn’t have been easier, not just because of the boat’s monstrous size, but because there is a buzz you can follow from the parking lot to its slip. 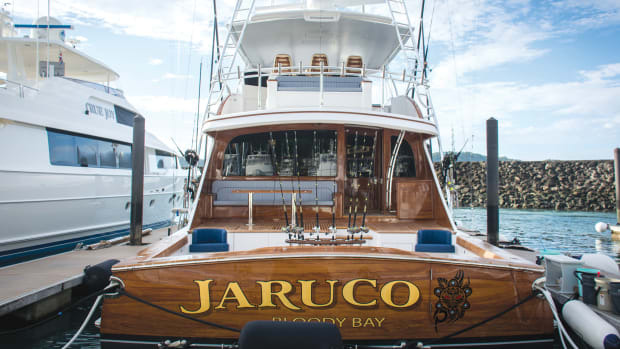 Tire kickers, serious sportfishermen and motoryacht owners are drawn to the 65-footer like moths to a flame. During the drive to Montauk, I prepared myself to not come off as too impressed. That plan works well right up until I come to the boat’s transom and ogle its quint 627-horsepower Seven Marine outboards. Math has never been one of my strong suits; I need to summon the calculator on my phone to learn that there is a corral of 3,135 horses strapped to the newest member of the HCB family. 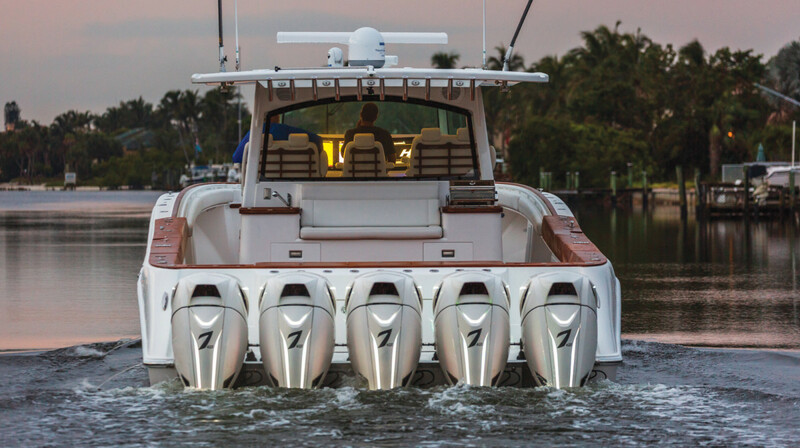 For the foreseeable future, the HCB 65 Estrella will stay the world’s largest and most powerful center console. 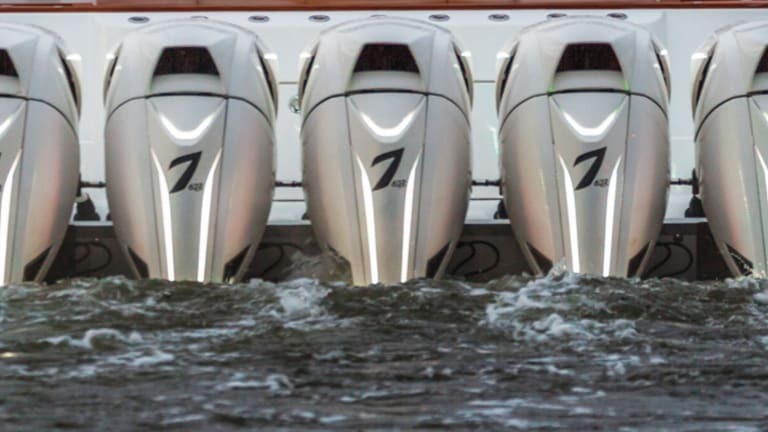 Anytime a boat is launched that pushes the boundaries of what’s possible, it’s inevitable that it will receive a strong reaction. I vividly remember hearing people scoff at how “unnecessarily big” the Regulator 41 was when it debuted a couple years ago in Newport. Today, with the proliferation of center consoles in the 50-plus foot range, that boat looks damn near modest. HCB’s 65 Estrella is no exception. We posted a video to our Facebook page during our test (shameless plug: if you’re not following us, you’re missing out) and it skyrocketed in virality. In a few short days it reached nearly a million views and received thousands of comments. As is the nature of the Internet, the commenters were split down party lines. Many admired the super console. 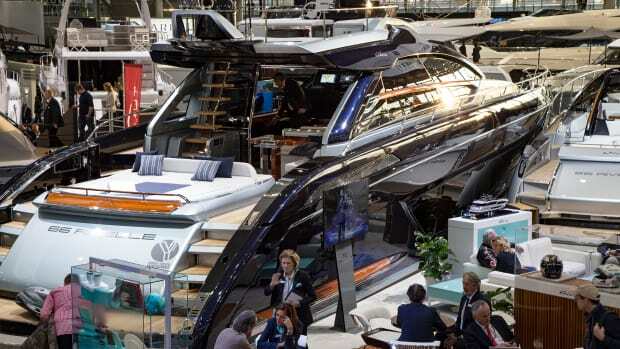 Then there were the haters: “Who needs that much horsepower?” “What does that thing cost to fuel up?” “Unnecessary.” “Who would want a 65-foot center console?” These were but a few of the comments made by keyboard warriors. It was amazing how strong of a reaction the boat got (you can read more about this record breaker here) but even trolls make a point from time to time. Yes, all those ponies require a lot of fuel. Most of us can’t front the fuel bill. 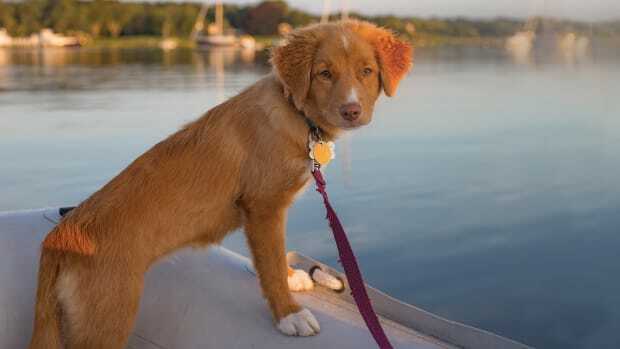 Most boaters don’t need 65 feet of walkaround fishability. Most people don’t need to go 52 knots. And you know what? That’s OK. This boat isn’t for most boaters. Starting at $3 million, it’s for a select few. Among the first buyers are an heir to a beer fortune, royalty in the UAE and hall of fame athletes you’d recognize by their first names. 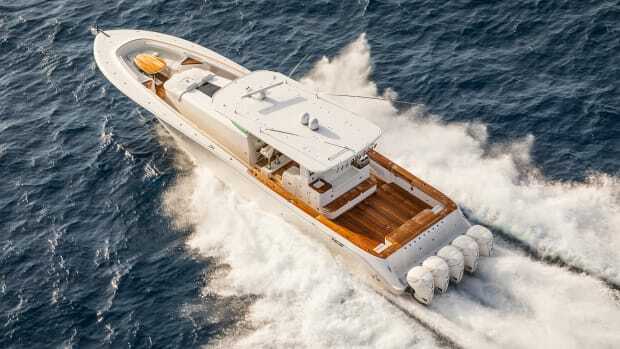 What impresses me most about this boat isn’t its horsepower, LOA or even the motoryacht interior, (OK, an interior mirror that turns into a TV, blew my mind) it’s how the builder was able to break a record for size and power without sacrificing handling or fit and finish. It’s these elements that I believe will trickle down—like good innovation does—into smaller boats that many of us can afford. 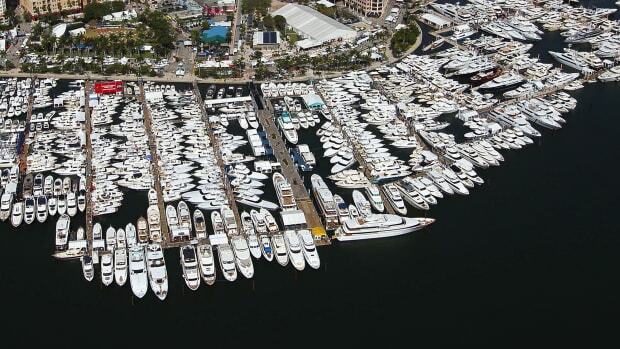 From the sportfishing docks of Montauk to social media accounts, HCB is riding a wave of popularity coming into the Ft. Lauderdale International Boat Show where she’ll debut to the masses. As the biggest center console ever built, the spotlight will undoubtedly be strong; she’ll enjoy celebrity status for some time. But we all know that there’s another hungry boatbuilder somewhere out there silently working away on a 70-footer. Records, after all, are made to be broken. I can’t wait to be there when it is. 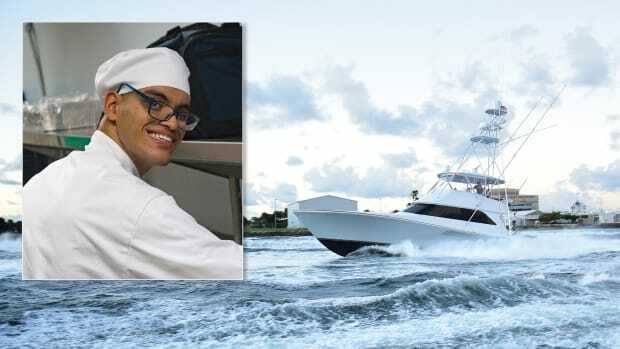 This article originally appeared in the November 2018 issue of Power & Motoryacht magazine.